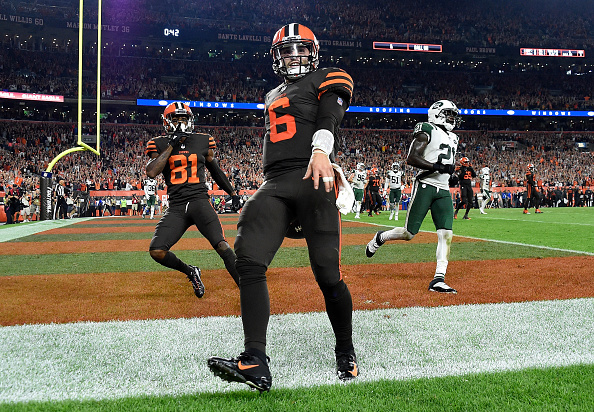 Yesterday, Gregg Rosenthal of Around the NFL penned a column titled “One Thing Each AFC Team Can Do to Earn a Spot in Super Bowl LIV.” Curious to see what exactly the Cleveland Browns needed to do to get to the big game next year, I gave the piece a read. That said, Rosenthal brings up a great point, and it’s something Browns fans need to consider in the year ahead. This hype is a breath of fresh air. However, it could also be dangerous for the Browns. If they end up getting caught up in their own headlines, next season might not go as well as we’re hoping. As fun as it is to have this much positive attention being thrown the Browns’ way, it’s not hard to see how it could backfire. Almost every NFL season includes a team which opened the year as a trendy contender, then watched its season completely implode. The 2011 Philadelphia Eagles famously referred to themselves as the “dream team,” then failed to even make the playoffs. The Jacksonville Jaguars made it to the 2017 AFC Championship, only to finish dead last this past season. The Browns won’t need to look too far for additional proof, as the Indians have also become victims of their own hype. A 22-game winning streak made the Tribe a popular pick to win the 2017 World Series. The team grabbed a 2-0 lead in the ALDS, collapsed and hasn’t looked the same since. As you can see, there’s reason for the Browns to be a little wary of their newfound status as the darlings of the league. This isn’t to say we should be upset about Cleveland finding itself in the spotlight for once. I’ll be the first to admit I’m extremely excited to see this team get some positive recognition. That’s what happens when you come across a light at the end of the tunnel after watching a franchise be pure garbage for the better part of two decades. However, when I hear players like Baker Mayfield and Jarvis Landry talk about gunning for the Super Bowl, or when Myles Garrett compares the current Browns to the Golden State Warriors, well, I get a little antsy. The team is the perfect combination of inexperience and a lack of recent success. As a result, it’s not a leap to think the players could get distracted by all the positive predictions for the year ahead and end up failing to fulfill them as a result. Make no mistake, the Browns can be very good this year. For all intents and purposes, they should be. What they can’t do is let this fact influence how they play. To be clear, this team should believe in itself. The Browns should enter this season with booming confidence and the expectation they’re going to shock the world. They just have to manage it, to ensure that belief is fuel and not proof they don’t need to try on Sundays. If they can do this, there’s no reason to think they can’t become the playoff team everyone expects them to this year.